A graph from David Rosenberg, Chief Economist for Gluskin Sheff (Toronto), shows one of the severe headwinds the recovery is battling. 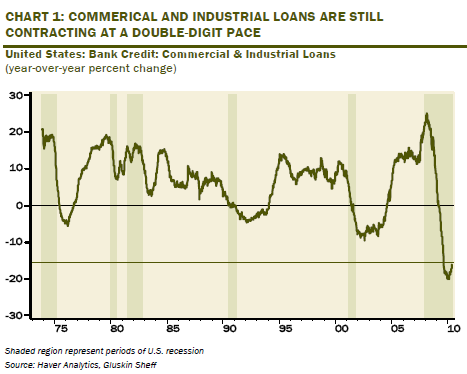 C&I (commercial and industrial) lending remains at historically depressed levels. 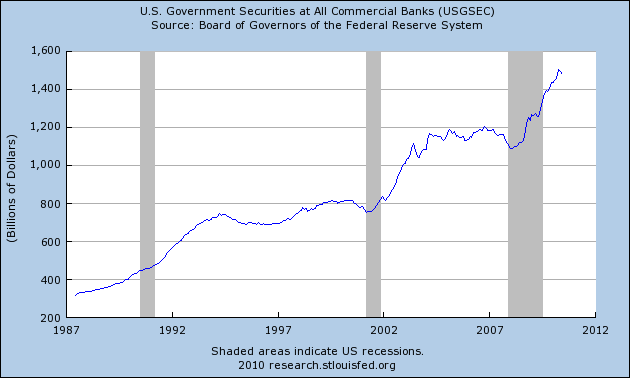 May of 2010 is at levels 16% below May, 2009, which, in turn, was about 10% below May, 2008. “Credit’s not the issue, customers are the issue” in reference to the view that with capex plans near a 35-year low, the demand for loans is unusually low. The New York Times article referred to is by Sewell Chan and is available here. 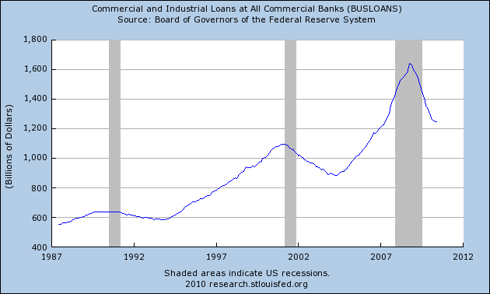 It is noteworthy that C&I loan activity grew more rapidly going in to the current recession and also fell more rapidly as the recession ended. 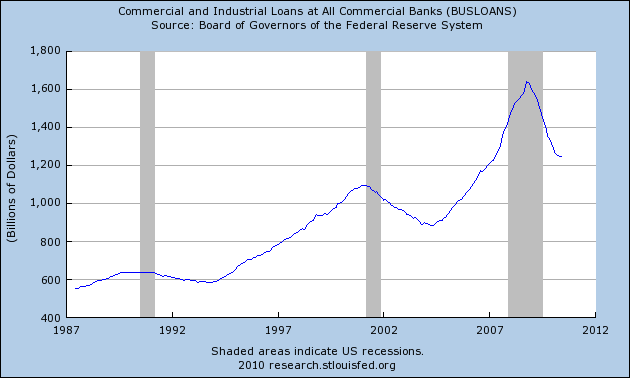 There is also a hint that the C&I loan activity may be bottoming. If this is the case, this recession would also see an upturn in C&I loan activity sooner this time than for the last two prior downturns, which saw loan activity bottoming after a period of time over three years from the peak.